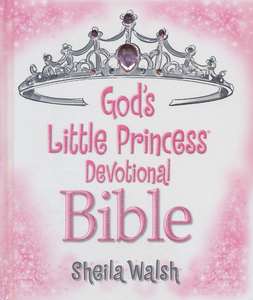 Teach your little princess to learn and grow in the Lord with this best-selling devotional Bible for girls. 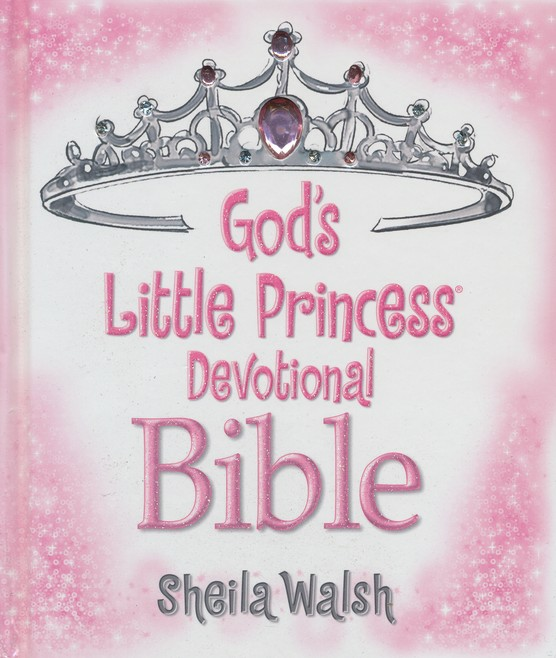 A good dose of God's truth combined with lots of sparkle, God's Little Princess Devotional Bible will help your little girl blossom into the faithful princess she was created to be! Actual International Children's Bible text is joined with devotionals and activities that focus on such virtues as compassion, generosity, and kindness in fun and engaging ways. 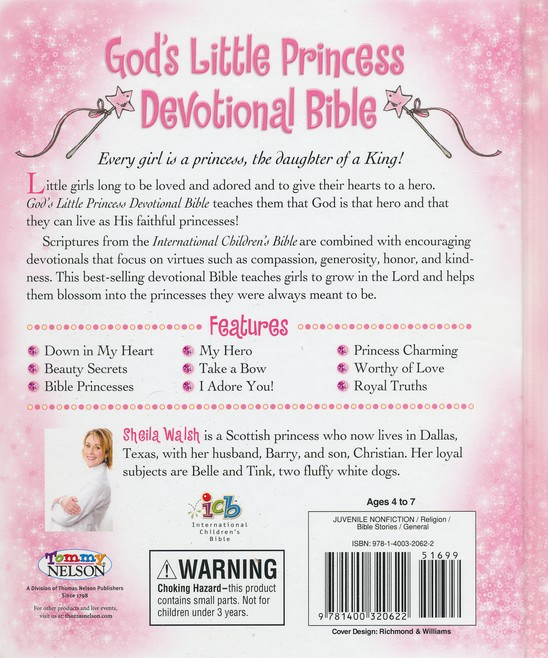 Girls are sure to love the updated, extra-shimmery cover, and the content speaks to every family's felt needs as they work to raise daughters of the King.